When it comes to Winter ensembles, there are a few key things I look for. I try to build my wardrobe on three main principles when the weather drops; comfort, style, and beautiful accessories, and this #ootd ticks all the boxes for a perfect Winter ensemble. Comfort – an absolute must in my fashion rule book. When it comes to snuggling up in the chilly months, a faux fur gilet like this incredibly soft snuggly number from River Island is my current go-to. With the belted waist it’s still flattering, but the faux suede outer and faux fur collar make this one of my favourite layering pieces. Underneath is my warmest jumper from Superdry – an essential for layering you can squeeze several layers of thermals underneath, and the best part? It’s currently on sale down to just £30! Style – whilst being warm and cosy, this look is also absolutely on-trend. I may crave that scrumptious cosy feeling but with the right clothing you can look classic and timeless with neutral tones, while still being warm. Accessories – my biggest investments in my wardrobe are my accessories. They complete a look and can be bought out year after year if you choose wisely. This Mulberry Cecily bag is now in it’s third year, and I love it as much as the day that I bought it (and at that price tag, you’d sincerely hope this would be the case!). Other favourites include my Ray-Ban sunglasses which are absolutely timeless, and my favourite boots of the Winter. Keep scrolling for more outfit details and links! What are your favourite Winter Warmers? Do You Know These Shopping Hacks? 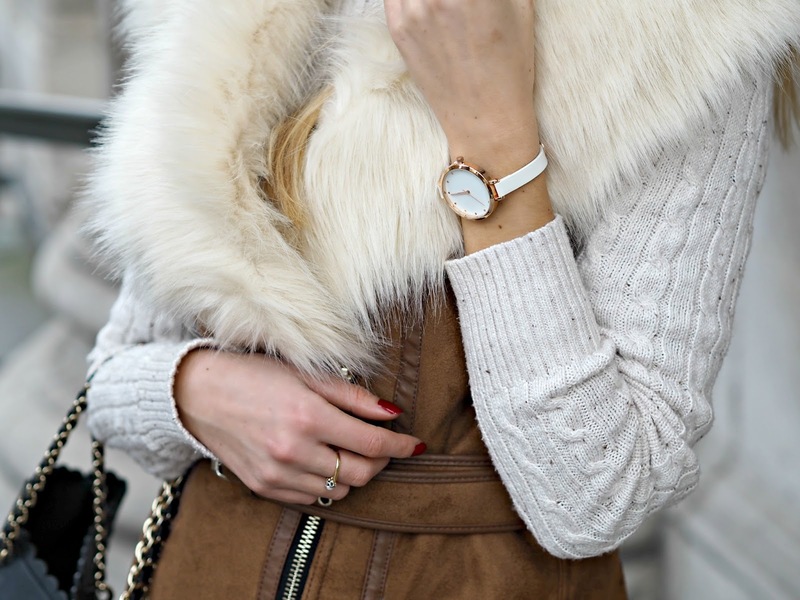 How To Look Chic When It’s Cold!